Sciatica is a nerve disorder and cervical spondylitis is caused due to changes in the cervical vertebrae. Sciatica is caused when there is an injury to the sciatic nerve or there is compression of the nerve due to some tumour or outgrowth. Cervical spondylitis is produced due to degeneration of the cervical vertebrae present in the neck. Sciatica is mostly seen in women after multiple pregnancies. Cervical spondylitis may occur in both men and women. It may occur during any age of life. In sciatica, there is pain and weakness in the affected leg. Patient cannot move over long distances. People suffering from cervical spondylitis also experience pain in the neck region and cannot sit or do any work. There is swelling at the back of neck. Sciatic nerve supplies the lower part of the back, leg and sole of the foot. When sciatic nerve is affected, there is pain in the lower part of the back that extends downwards to the leg. There is loss of sensation in the back part of the leg due to compression of the sciatic nerve. The most important symptom of sciatica is pain. The pain may be mild or severe. There is tingling and numbness of the leg due to weakness of the sciatic nerve or due to compression of the nerve. Many people feel sharp pain on one side and there is extreme numbness of other parts of the body. There is weakness in the affected leg. The pain become worse on standing, walking, rising up from a sitting position, and when bending backward or forward. There is stiffness in the cervical region of the neck. 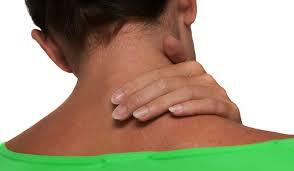 People having cervical spondylitis have constant pressure on the neck and have vertigo and headache. They are not able to stand for longer period of time and may have vertigo when driving. There is numbness in the arms and it may extend downwards up to the fingers. There is pricking pain in the needles due to numbness of the nerves. 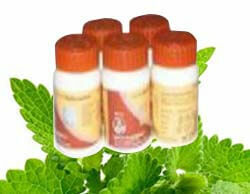 Divya Ekangveer Ras: It is an herbal remedy that helps in the treatment of sciatica and cervical spondylitis. It gives relief from vertigo and pain in the legs. It also gives relief from neck pain by providing nutrition to the cervical vertebrae. It prevents degeneration of the cervical vertebrae. Divya Praval Pishti: This herbal remedy is useful for pain in the back and weakness of the legs. It is a useful remedy for the treatment of cervical spondylitis and sciatica. It increases the strength of the nerves and prevents weakness of the legs. Divya Brihad Vata Chintamani Ras: This natural remedy is an excellent remedy for the treatment of cervical spondylitis. It is one of the best cervical remedies that provide relief by boosting up the energy. It strengthens the nerve and prevents pain in the legs and back. Divya Swarna Makshik Bhasma: This is a useful remedy that gives relief from pain and swelling of the neck. It provides relief from vertigo and pain in the neck. It increases the strength of the nerves to give relief. It is a safe herbal remedy for the treatment of sciatica and cervical pain. Divya Trayodashang Guggulu: It provides quick relief from any pain in the back and legs. This is a natural remedy that provides strength to the legs. It gives relief from weakness and numbness of the muscles. Divya Chandraprabha Vati: This is a wonderful herbal remedy for the treatment of sciatica and cervical spondylitis. It provides immediate relief from swelling of the neck and also from pain in legs. It may be taken regularly for the permanent relief from cervical pain. Divya Pidantaka Rasa: It is one of the best cervical remedies and provides quick relief from pain and numbness of the legs. It increases the strength of the legs and provides relief from pain in the neck that may occur due to degeneration of the cervical vertebrae. Take equal quantities of ginger root powder, powder of celery seeds, and powder of cumin seeds and mix them together. Take one tea spoon of this mixture everyday with hot milk to get relief from pain and stiffness of the muscles. It also provides strength to the nerves. You may use sesame oil or mustard oil for doing massage of the leg or neck. Massage helps in increasing the supply of blood to the affected part and gives relief from pain and numbness. Garlic is also a useful home remedy for the treatment of inflammatory diseases. You may drink ginger tea or eat make powder of the ginger root. You may take a pinch of this powder with hot milk to get relief from pain and swelling of the legs. People suffering from cervical spondylitis should avoid using pillow under the neck as it may aggravate pain and stiffness of the neck. People suffering from sciatica should put their feet in lukewarm water. It helps to increase the blood circulation in the leg and give relief from pain and stiffness. Almond oil may also be used for massaging the leg and the neck. It provides nutrition to the cells and also increases the strength of the nerves.